Uncategorized Archives - Miria, Inc. Ask yourself a question…How much work is TOO much? You have an immense about of components and people that operate your business process workflows including: paper documents, digital documents, invoices, notes, checks, payment information, supplier information, vendor information, employees….and so much more! It can quickly become overwhelming and inefficient when trying to tackle all of these components in a timely, organized matter. How does one achieve sustained business success? The sales folks will tell you it’s because of them. And yes; they keep growth coming, but the real backbone of ANY successful business is the accounting process. Is anyone else tired of the piles of paper invoices in your office? It’s time to work smarter, not harder. Welcome to 2019 and Happy New Year! Each new year brings something we all LOVE to deal with. Tax Season. It can cause sweats and stress for some. 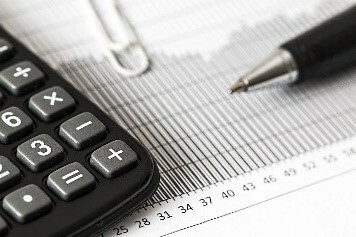 Whether personal or corporate, taxes and tax planning are a critical component of our fiscal calendars. Technology and the widespread use of electronic documents, can bring simplification, transparency, and operational efficiency to your back office. However, back office automation comes with its own set of challenges for companies that are outgrowing the capacities of their current systems and require specialized service to realize the value. We are half-way through our 8 part series entitled “What Gets Measured, Gets Improved.” In this series we are discussing 8 KPI’s in the Accounting / Finance world in order to get clear measurements of what’s going on now in order to move forward with any strategic initiative…like AP automation.